Goals from Dean Cox and David Mooney gave Orient victory in the fourth meeting between the two highest scorers in League One this season. Coventry came to Brisbane Road for the third time this season, after defeats in the Capital One Cup and Johnstone’s Paint Trophy, but had the consolation of being the first team to beat Orient in the League at The Sixfields Stadium, ending The O’s 12 league game unbeaten run from the start of the season. The Sky Blues were without top scorer Leon Clarke, who picked up a foot injury in the Friday night FA Cup 4-0 loss to Arsenal. Leyton Orient’s top scorer David Mooney made his comeback on the bench, after missing seven games through suspension and injury. Honours were even in the first half, but Orient got stronger in the second half, and following a chance by Frank Moussa for the visitors, the O’s awarded a penalty after Chris Dagnall was tripped in the box. Kevin Lisbie missed from the spot again, (following his miss v Crewe earlier in the season) but a minute later Dean Cox fired home after Vincelot flicked on a long throw. Mooney, who also missed a penalty in the defeat at Sixfields back in October, came off the bench in the 77th minute and added a second goal nine minutes from time, securing the points with a shot from outside the box that dribbled through the keepers hands. Wins for Brentford (3-1 v Bristol City) and Wolves (3-0 at Oldham) meant the O’s stayed in second spot on 60 points, two behind Brentford and two clear of Wolves, with a game in hand on both. Saturdays opponents Rotherham won 2-1 at Tranmere with two goals from former O’s striker Alex Revell, to move into fifth spot behind Preston, who drew 0-0 at Bradford. The O’s have now won four successive league games, since an FA Cup defeat at Yeovil, and a league draw at Wolves, and travel to Rotherham on saturday with the best away record in the football league, with an amazing 10 wins from 14 games. Rotherham are unbeaten in four, their last defeat coming on New Years Day to Coventry. HE’S BALD HE’S FRENCH HE SCORES FROM OFF THE BENCH – TEHOUE TEHOUE!!! 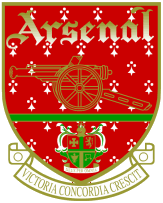 FA Cup 5th Round – Leyton Orient v Arsenal!! Chance to gain revenge for the semi-final defeat of 78!! Goal scored by Jimmy Smith after 20 minutes. Jamie Jones in goal, Elliot Omozusi, Forbes, Ben Chorley and Charlie Daniels across the back. Alex Revell, Stephen Dawson, Matthew Spring, Jimmy Smith and Dean Cox could make up a five-man midfield, and Téhoué is up front. Whing, Aaron Brown, McGleish, Adam Chambers, Lee Butcher, Paul-José Mpoku and Harry Kane are on the bench. Harry Kane has signed from Tottenham on loan (where else) until the end of the season. From the spurs http://www.site..
Russel Slade has described the game as a real challenge in this match preview . Tyrrel Forbes returns from suspension for the tie. Paul Lambert has dismissed reports linking him with the Burnley job after they sacked Brian Laws(??). He hinted at team changes in his press conference, good news for the O’s… Even if he has denied the Burnley gossip, hopefully it will have unsettled the ‘mood in the cmap’. Thanks to Burnley, they’ve owed us one since 1986..
WHILST we are still in the bottom half of the table hope springs eternal as the team is showing signs of threatening to enjoy a season of consolidation. 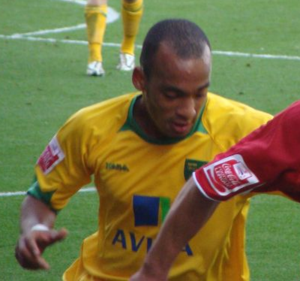 I just wish we had built on our fine start to the 2007 season, but since then we have been through two managers, countless players coming and going and the new gaffer – Mr Slade – brought in nine new players and a couple of loanees since – so as he has stated it is ‘a work in progress’. But, unbeaten in eight games and going into the New Year that sees us five games behind schedule – four of those at home – suggests we could make a good fist of what started out as a nightmare in August and only got going once we had recorded our first win of the season against Exeter. Then followed an indifferent September – with that depressing defeat again Daggers and cup exits meant we had to try and put some points on the board. Which we have and now find ourselves in a position – although only two points off the relegation spots – gives hope that we can at least stay up – which is the lot of many of the smaller clubs in this league. At least we have an FA Cup trip to look forward to at Norwich, and whilst hoping for cup progress, our small squad will be tested with at least five games to re-arrange. Being an Orient fan you have to be realistic and with 24 points on the board and still not at the halfway mark in games played, it suggests the magic 50-point mark should be attainable should our revelation of a strike force manage to stay fit.